Welcome to the Arizona Court Rules Forum, a website sponsored by the Arizona Supreme Court and the Administrative Office of the Courts. This website allows you to electronically file and monitor your own court rule petitions and comments. 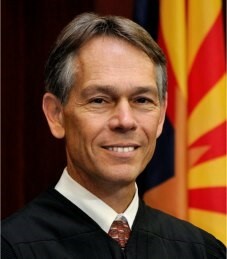 In addition, the Court Rules Forum provides visitors with a single point of access to all aspects of court rulemaking in Arizona: from a database of the existing rules of court to recent amendments of those rules, pending rule petitions and comments, recent court actions on rules, and an annual schedule of the Court’s consideration of rules. It also provides user-friendly instructions for using this website, located in the Frequently Asked Questions (FAQs). The Arizona Supreme Court’s Strategic Agenda Advancing Justice Together: Courts & Communities reflects our commitment to continuously improving Arizona’s justice system and revising rules to be clear and understandable. We hope you will participate in reviewing and commenting on Arizona’s court rules through the Court Rules Forum. Any visitor to this site may view posts on this web site, but to post replies, you must register and create a UserID. Supreme Court staff will use the registration information should they need to contact you to clarify or follow up to your post. They will not sell or distribute this information. To view instructions on how to register to file a petition or comment, please visit our Frequently Asked Questions (FAQs) page. 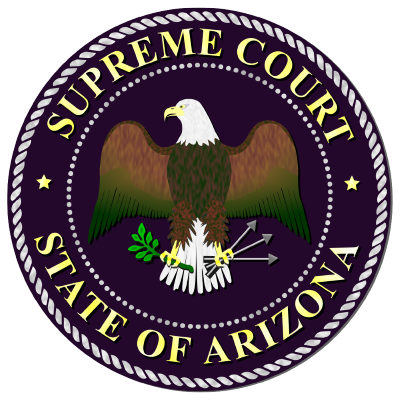 You may still submit rule change petitions and comments by the traditional paper method with the Clerk of the Supreme Court located at 1501 West Washington, Fourth Floor, Phoenix, Arizona 85007. These documents will be posted to the Court Rules Forum. This website contains recent rulings from the Supreme Court relating to rules, a list of recent amendments to the rules, a list of pending rule change petitions, and a page on which pending rule change petitions may be viewed and new rule petitions and comments may be electronically filed. Also included are general guidelines for filing new rule change petitions and comments. Visit the Arizona "Court Rules Forum" petition and comment filing interactive "Rules E-Forum."